On a beautiful day in September, Noelle commits suicide. Her two closest friends, Tara and Emerson, are completely shocked that the woman they had known -- caring, committed midwife, champion of babies-in-need, strong independent Noelle has done this. Why? Turns out that Noelle had a lot of secrets -- a history of lies, betrayals and a hidden past that neither of them knew. The story is a mystery and also a study in friendship and family relationships. 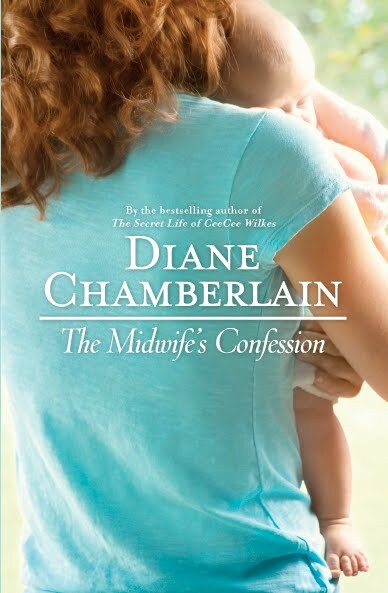 The ability to write believable characters is a definite strength of author Diane Chamberlain. The women in her books are mothers, daughters, wives, etc. who are able to form strong bonds that are tested but that don't break even in the face of tragedy or heartache. Ultimately, this is a book about the extent that someone could go to in an attempt to make a wrong a right; or how loving someone too much can cause a person to do things that ordinarily wouldn't be considered. And at what cost? Told from the viewpoints of the key characters in the novel, the story also shifts back and forth in time as Noelle's friends and their children Jenny and Grace try to make sense of the suicide and to find answers to the questions it brought to light. It seems that none of them really knew Noelle at all! The second book in the Skinjacker series just didn't excite me like the first one did. I LOVED the first book, but again, it's a case of an author writing a great first book and then spinning it into a series, which was weak. I guess it's not fair to say the whole series is weak, but this second novel is. Nick, "The Chocolate Ogre" is still trying to get every kid in Everlost to take a coin and "go to the light", which is against what Mary High Tower wants. Mary joins with scary allies, and Allie the Outcast joins with Skinjackers, learning more about her powers. There's also a wicked twist ending, which of course will lead readers to the third novel of the trilogy. It's been awhile since I read this book but I did like it well enough. A bunch of folks work at a English speaking newspaper in Rome. The cast of character- editors, reporters, staffers, management- all have their own stories of how they came to Rome and to the paper. The paper was originally started by a millionaire and it's struggled to stay afloat for 50 plus years. The Imperfectionists tell the stories of the current staff while blending the back story of the previous staff and the newspaper's history. 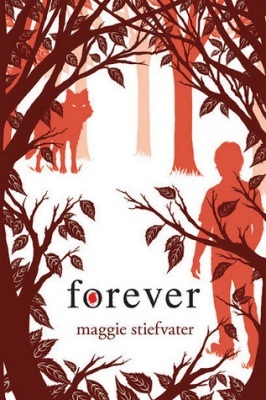 Forever is the last book in the Wolves or Mercy Falls trilogy. I remember when I read the first one I was really excited and as it went on.... I became less enchanted, like I did when I read all the Twilight book series. I liked each one less and less with each book I read. We know Sam is human and Grace is a wolf. 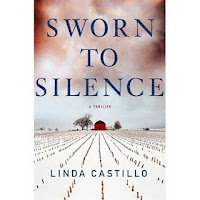 Isabel's father is trying to get a legal wolf hunt to wipe out the pack behind the property and Cole is trying to find a cure for the shifting. All these stories blend together in a race against time to save them all and let true love prevail. When Kate Burkholder was 14, she experienced a horrifying encounter with a serial killer that left her alive but scarred for life, which caused her to shun her Amish community upbringing and become an "English" police officer. She is now the Chief of Police in her hometown, Painter's Mill. Kate's biggest problems were stray cows until a girl is found dead and all the traces are similar to Kate's past horror. Although Kate is an excellent police officer, she is a woman and inexperienced so the town officials bring in more help with more experience. BCI agent John Tomasetti, a federal agent who's on the verge of being washed up and has his own secrets is sent to help Kate catch the killer. The murders get more and more gruesome as the killers takes more victims. Kate, who is trying to do her job, protect her family and their secrets as well as protect herself, might have to quit her job to save the next victim, as well as herself.